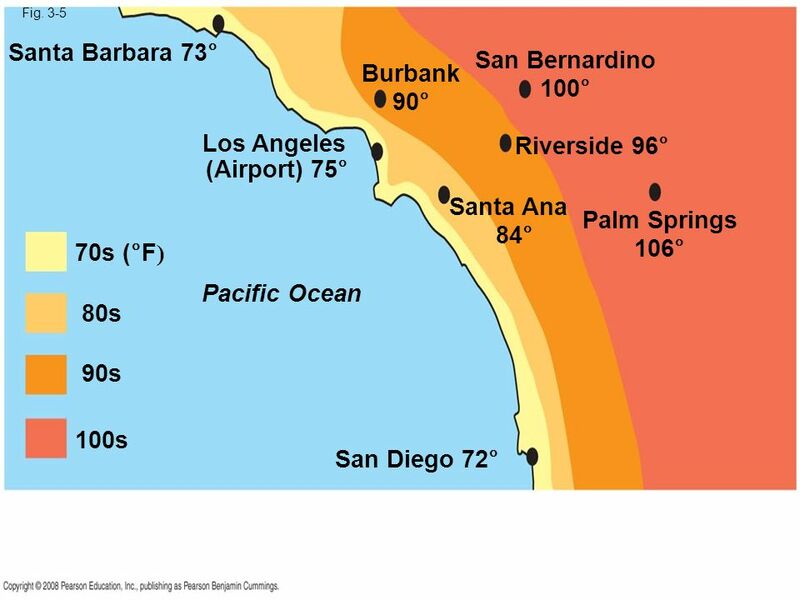 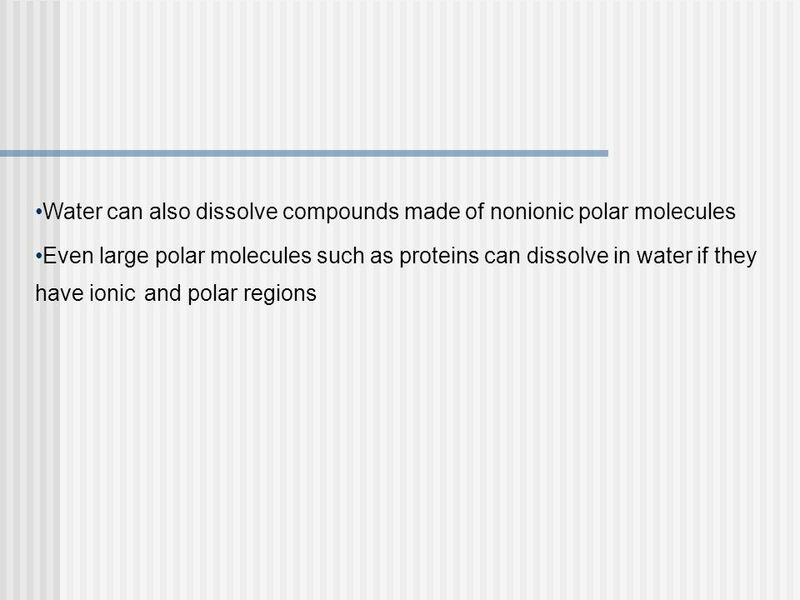 AP Biology Chapter 3 Water and the Fitness of the Environment. 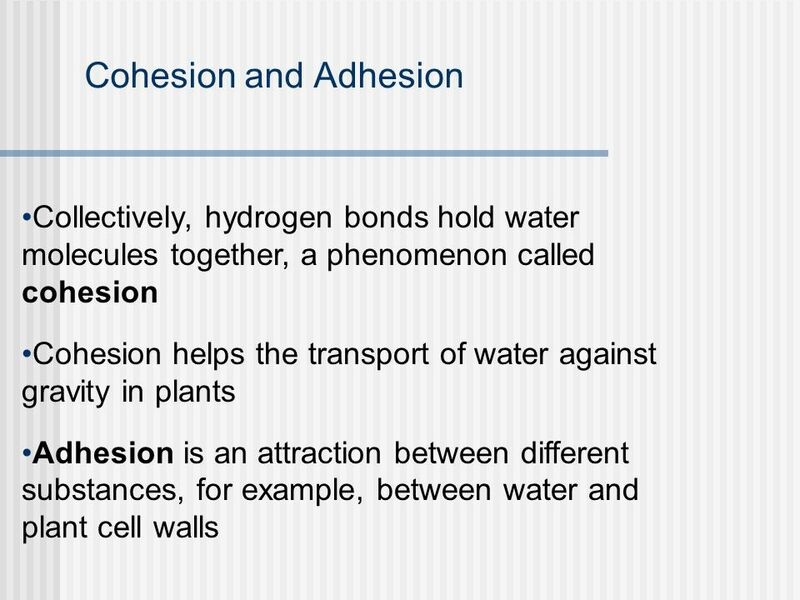 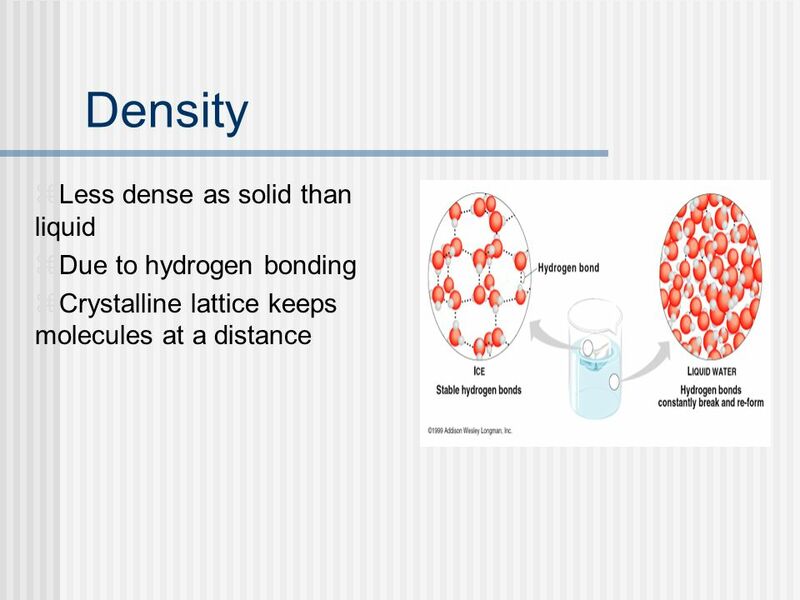 Cohesion~ H+ bonds holding molecules together Adhesion~ H+ bonds holding molecules to another substance Surface tension~ measurement of the difficulty to break or stretch the surface of a liquid Specific heat~ amount of heat absorbed or lost to change temperature by 1oC Heat of vaporization~ quantity of heat required to convert 1g from liquid to gas states Density………. 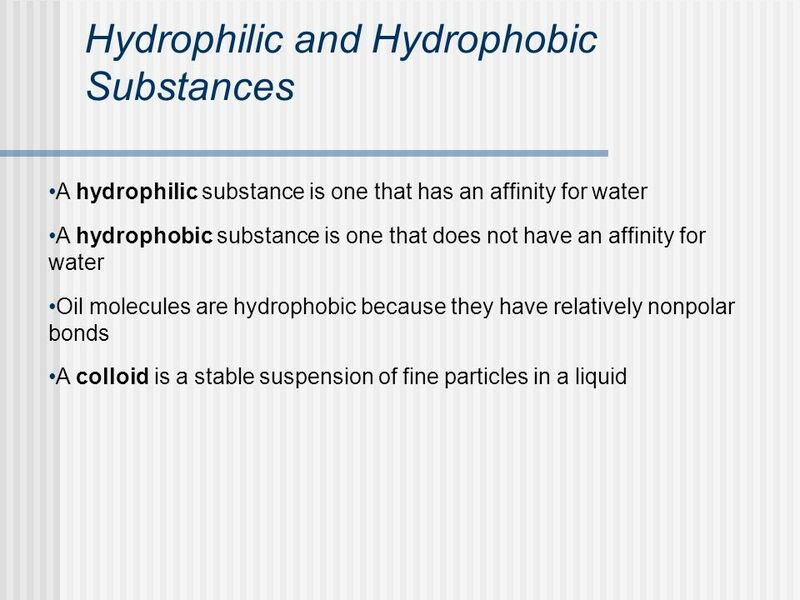 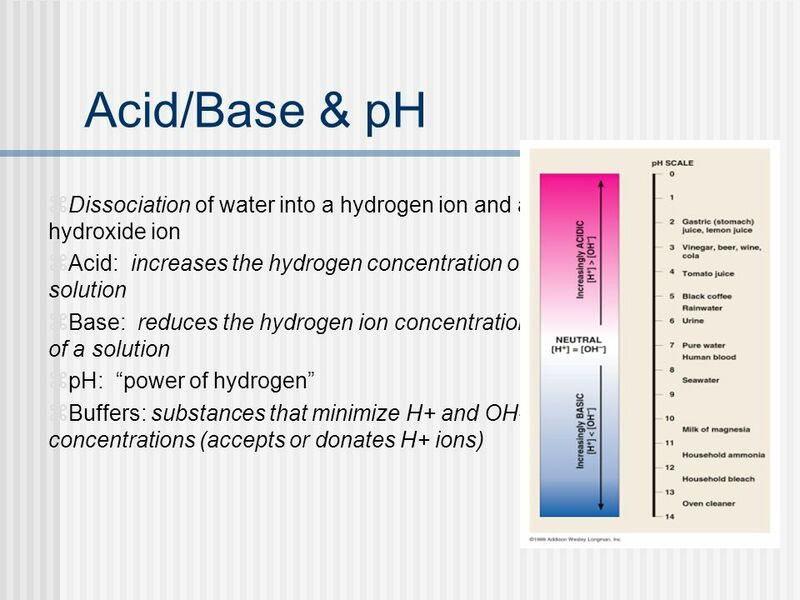 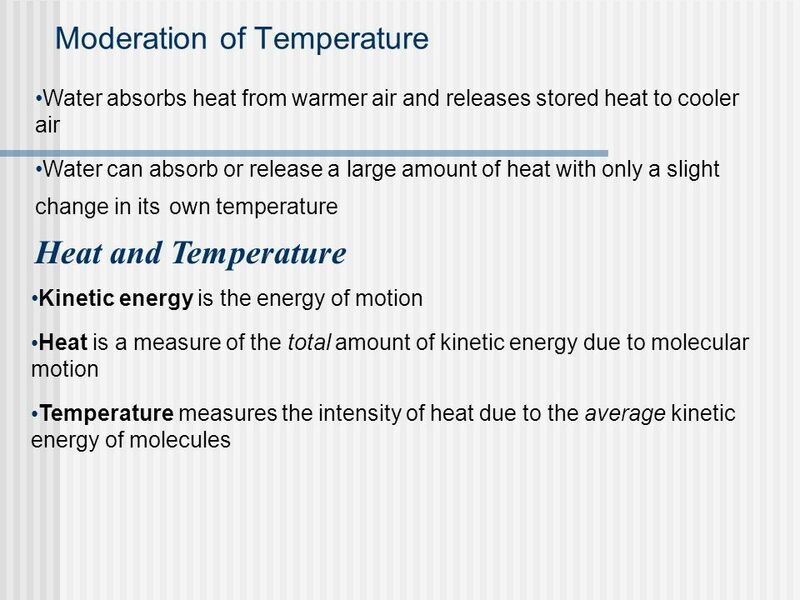 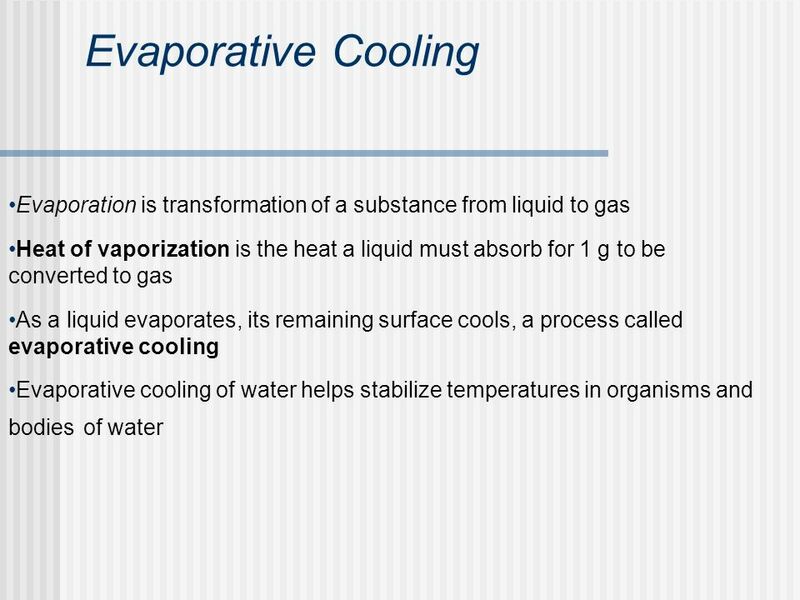 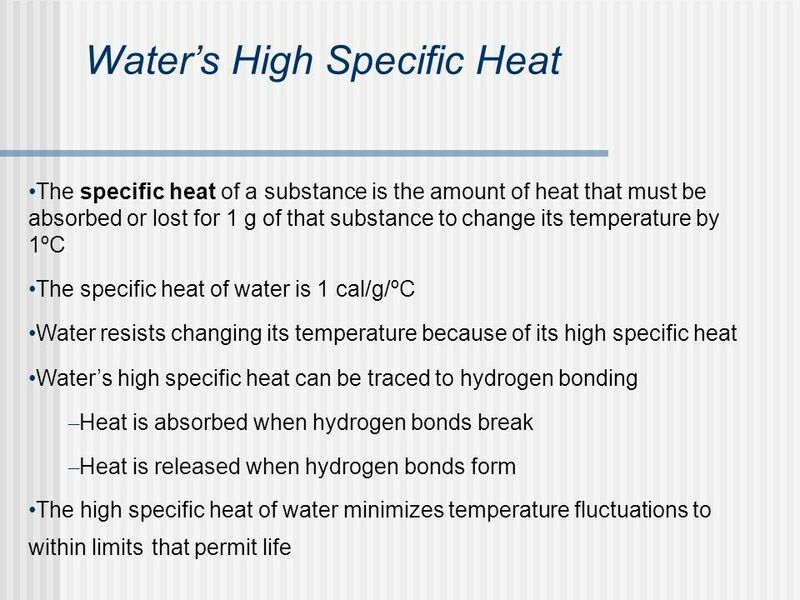 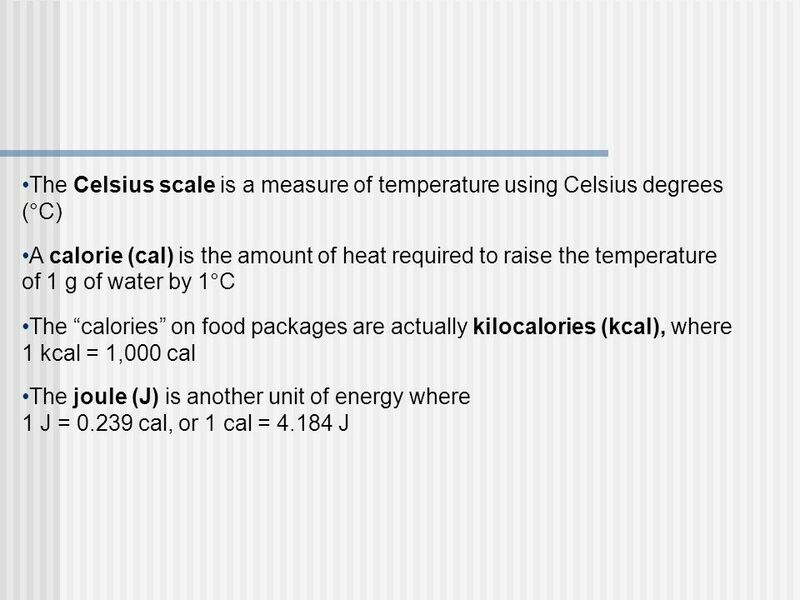 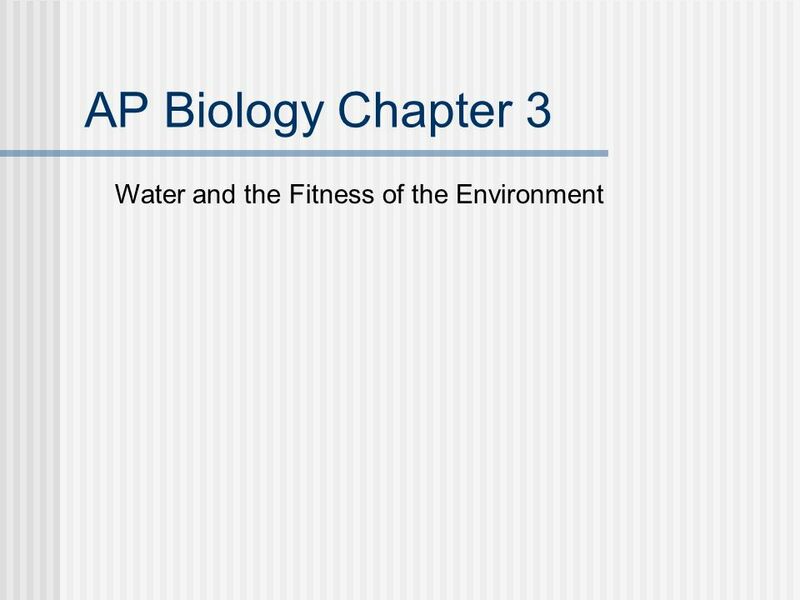 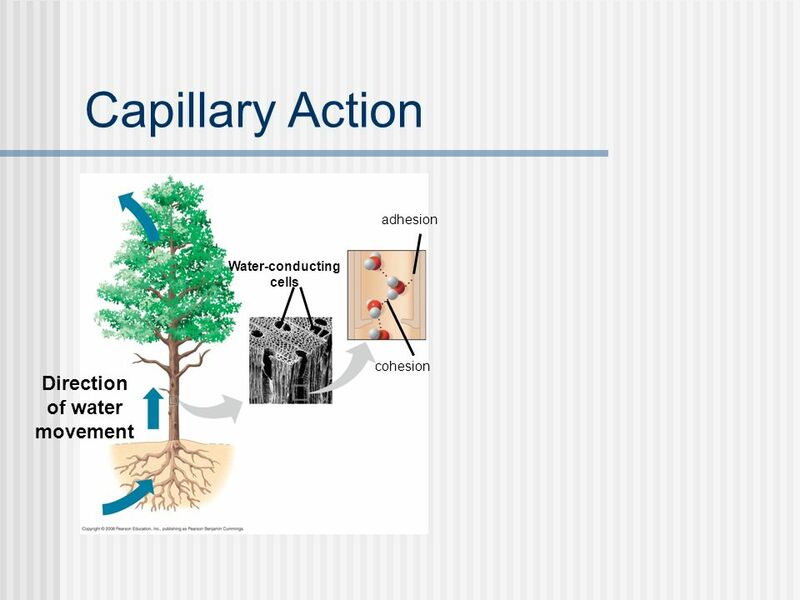 Download ppt "AP Biology Chapter 3 Water and the Fitness of the Environment." 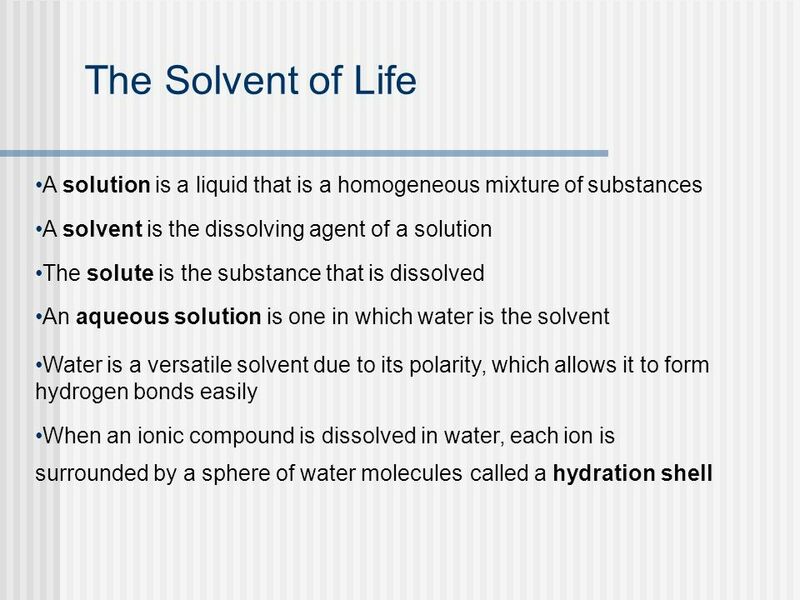 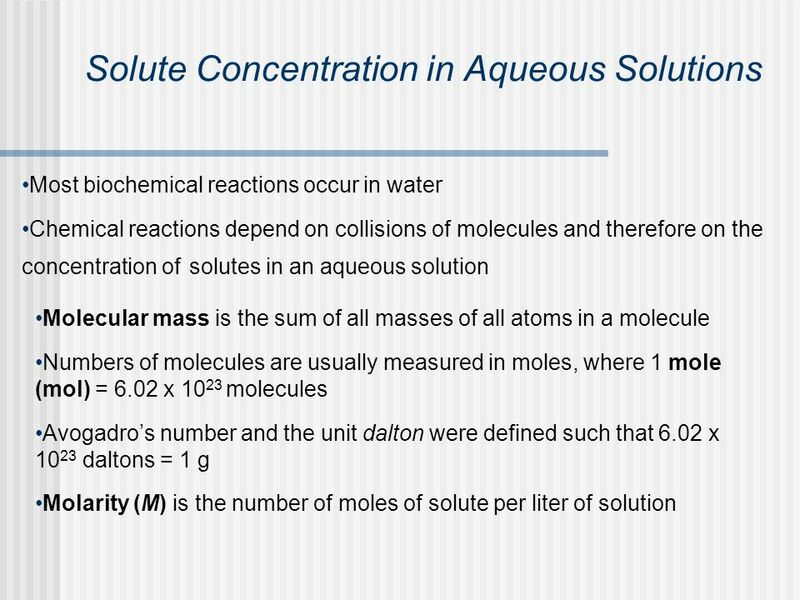 3.1 The Chemistry of Life The chemical elements of water. 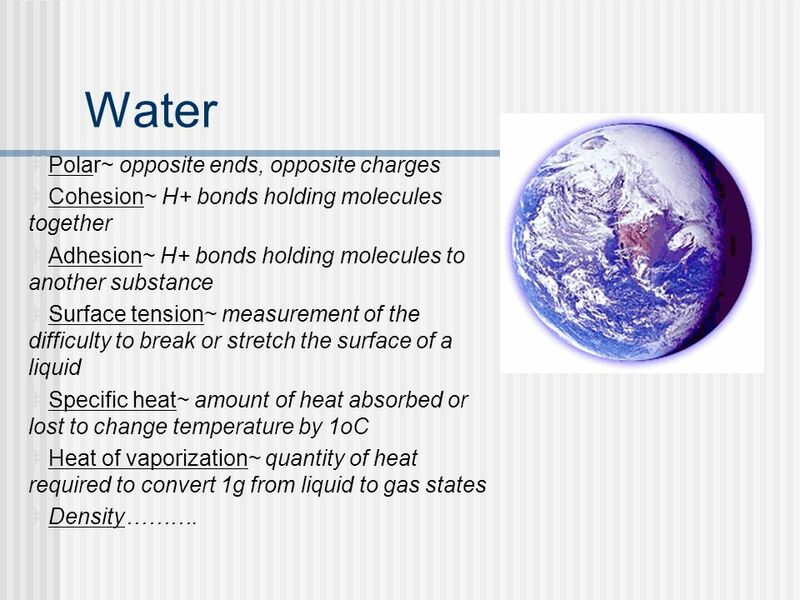 Copyright © 2005 Pearson Education, Inc. publishing as Benjamin Cummings Why is Water important to Life on Earth? 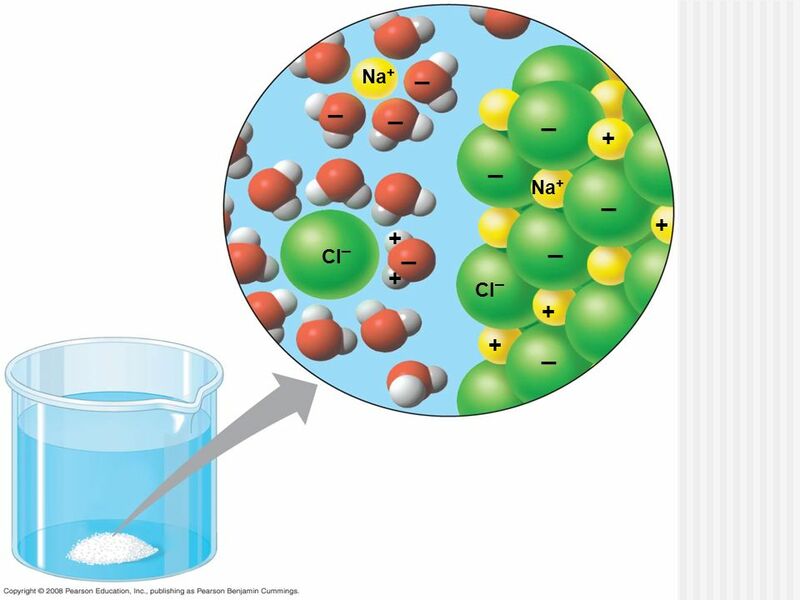 You Must Know Chapter 2 The importance of electronegativity. 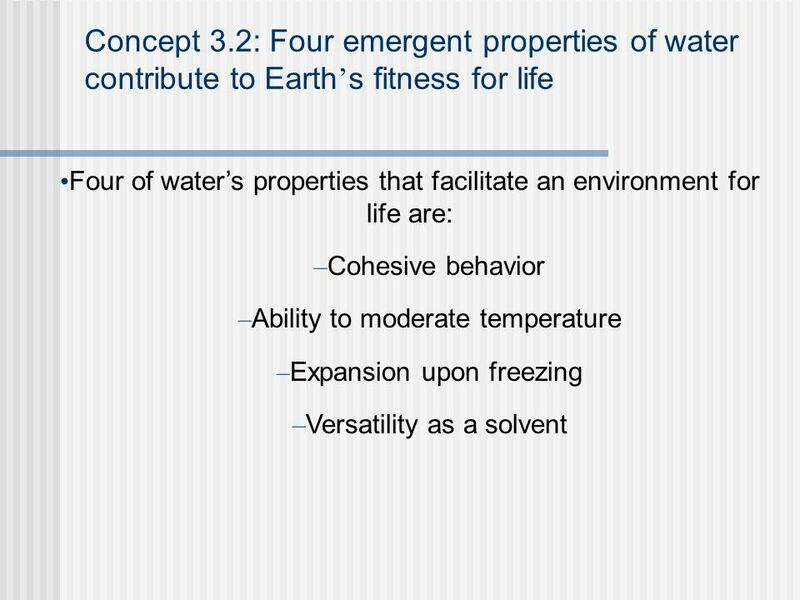 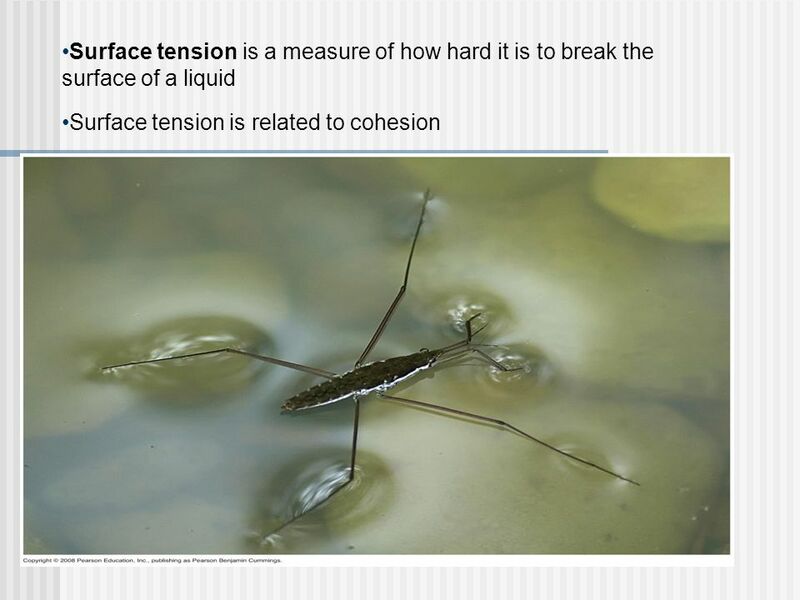 Chapter 3 Water and fitness of the environment. 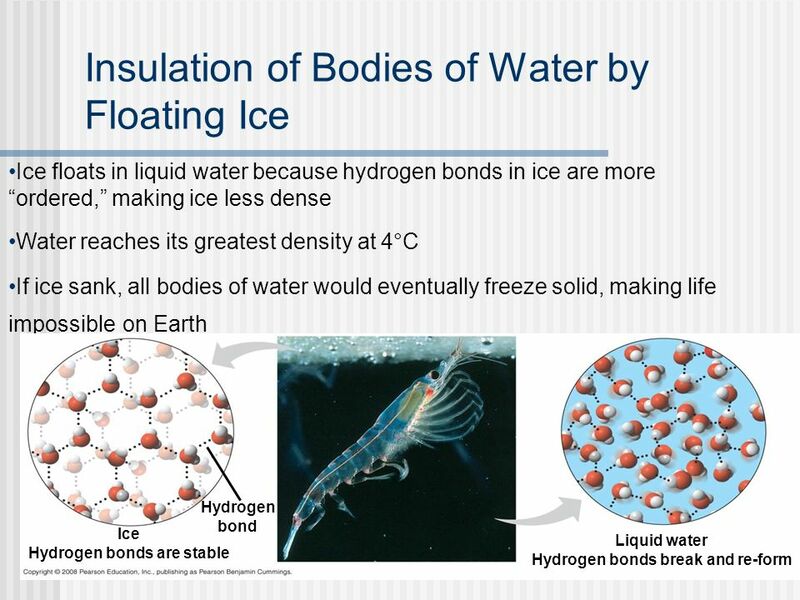 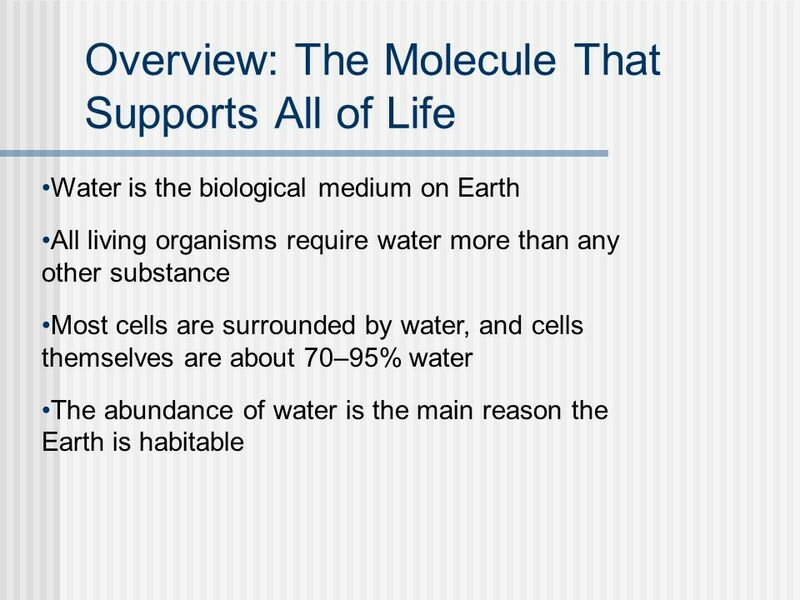 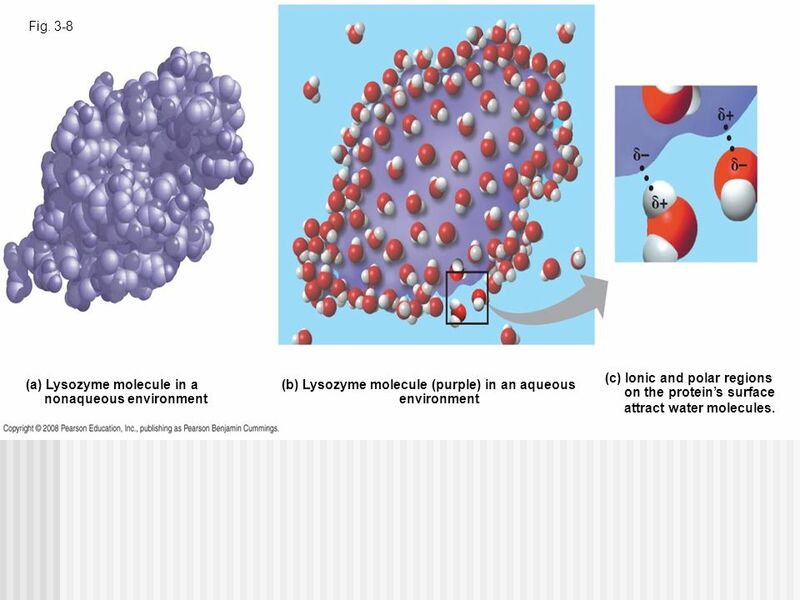 Overview: The Molecule That Supports All of Life Water is the biological medium on Earth All living organisms. 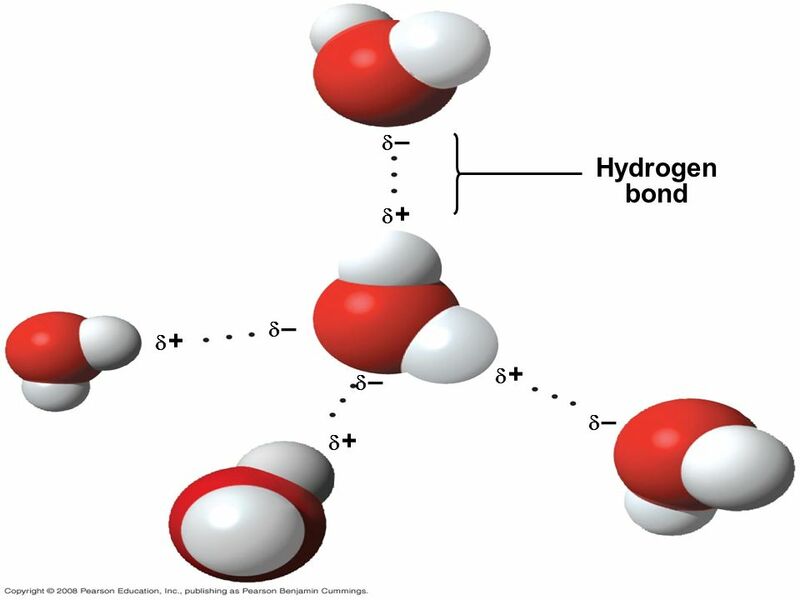 Copyright © 2005 Pearson Education, Inc. publishing as Benjamin Cummings Water and the Fitness of the Environment Figure 3.1.